Scott and Shelly have lived in the Northern Virginia area for some time now, but have decided to move from their house in Rivercrest. Wanting to stay in the same area, but be in a more convenient place for their respective commutes, they searched for a home in the Aldie area. Their search, however, revealed that they weren’t satisfied with the idea of living in someone else’s old home. As a result, Gina and Team AGC suggested they consider new construction in the area. 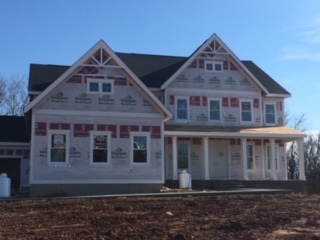 The home they ended up purchasing is newly built in 2019, and was under construction only two months ago! Seeing the process of the home being built from the ground up gave it a more personal feeling, to the delight of Scott and Shelly. They enjoyed the sense that they were truly building a new chapter of their lives together with the purchase of this home. Scott and Shelly found it difficult to wait for their new house to be built, but the wait was worth it. When the wait was over, the house was everything they hoped it would be. The location was perfect, the lot was beautiful, and the house was set to become their new home. 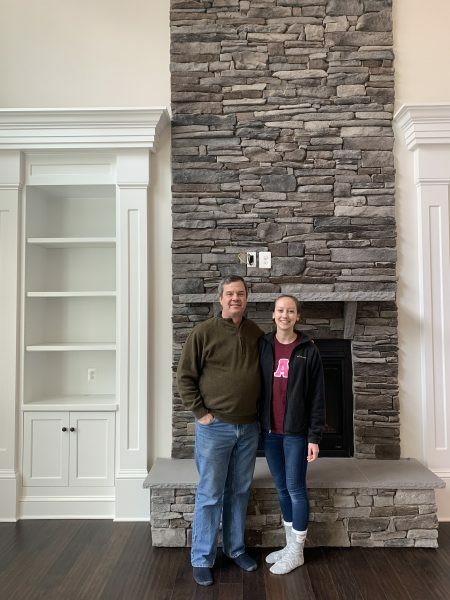 They couldn’t be more excited to fill the house with memories that will last a lifetime; and Team AGC couldn’t be happier to have helped them with this process every step of the way! Happy to be in their new home!